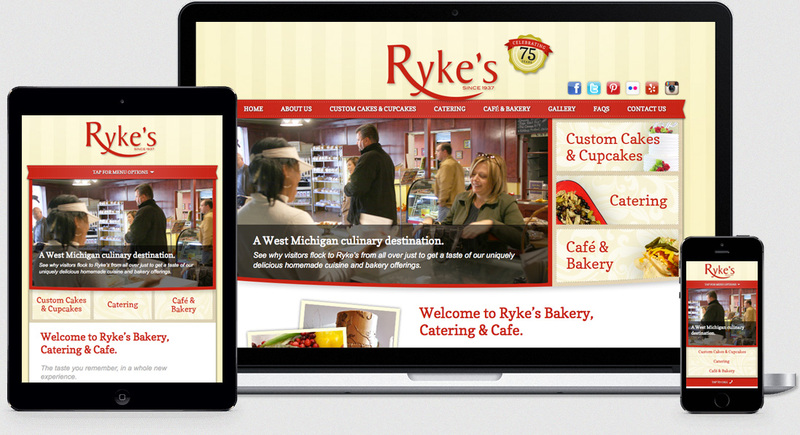 Ryke’s Bakery, Catering & Café, a popular and historic eatery in the Muskegon, Michigan area, required a website redesign that was more complimentary to their unique brand and better suited to their high mobile traffic. 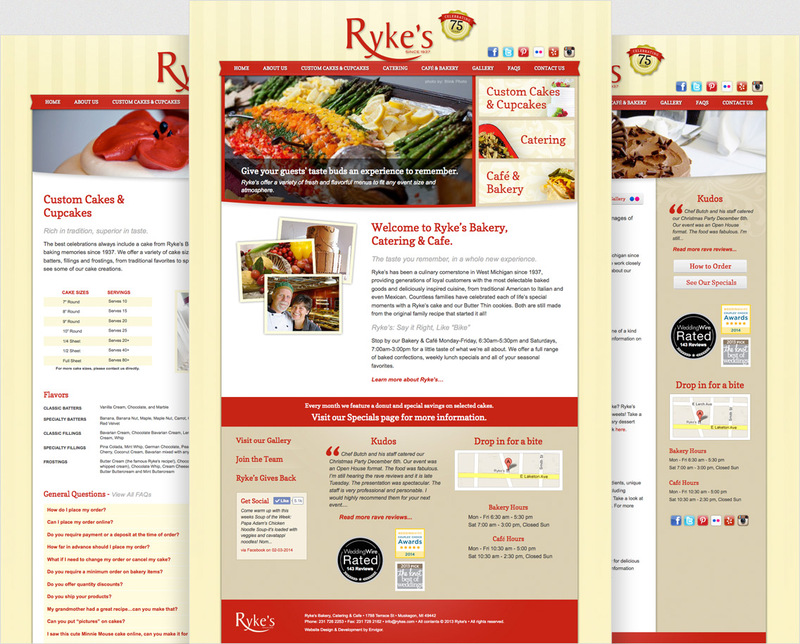 Envigor designed and developed a custom responsive website for the bakery and café that includes more social media integration, such as a custom Facebook stream and a better way of showcasing their wonderful culinary and confectionery creations. 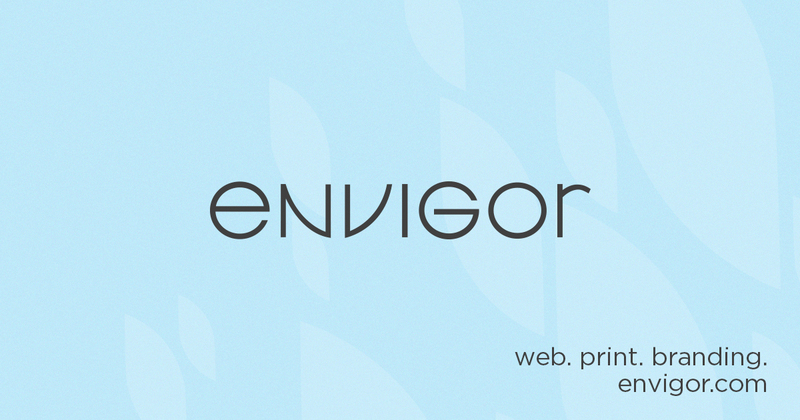 "I was referred to Envigor from another website developer that couldn't help with our project. Andy and Amanda were great to work with - heard what I was asking for and put it out there. The support we've received since going live has been great. I would and have recommended them to others!"